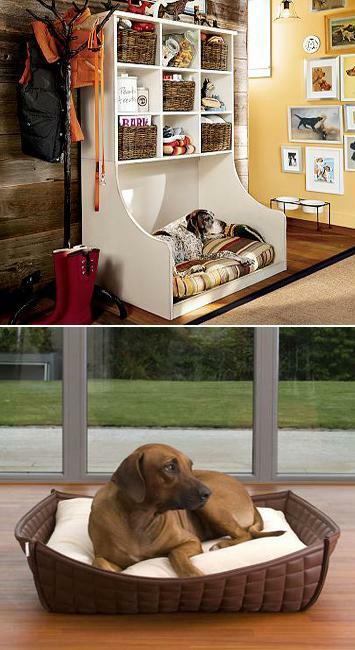 Modern design ideas for pet beds are inspiring. 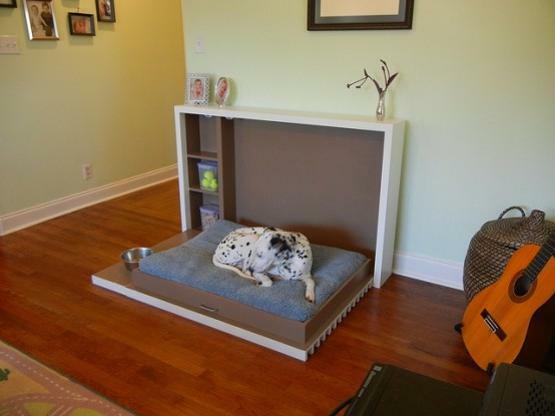 Lushome shares a collection of wonderful pet beds for dogs that are envisioned by designers or handmade by pet owners. 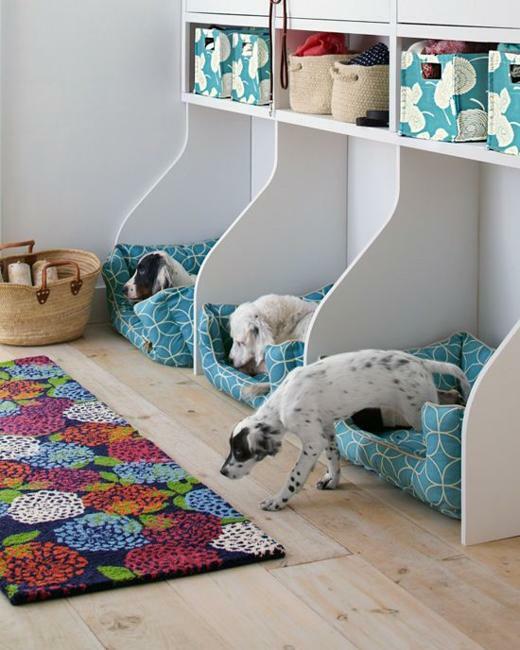 There are plenty of modern pet beds for your dogs, but you need to find or make the bed that suit your house and which is comfortable for your dog. 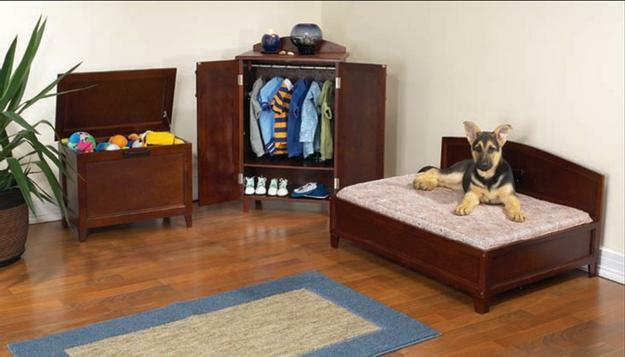 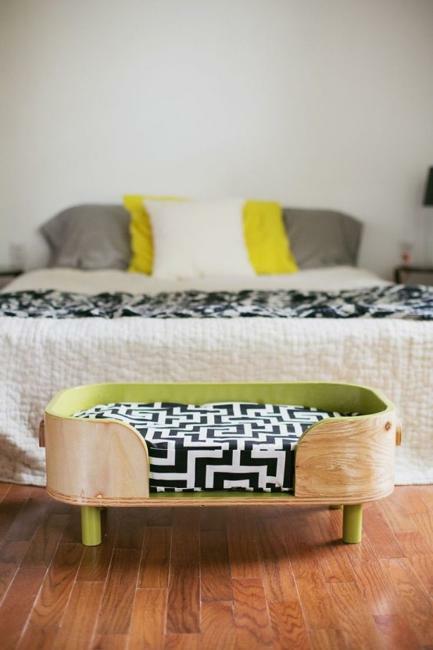 Modern design ideas for pet beds vary from recycling old suitcases and room furniture pieces to luxury leather dog beds. 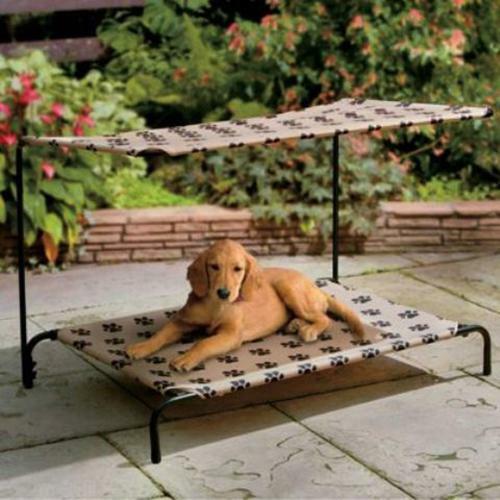 The pet industry is reaching millions of dollars a year in sales, and people are willing to spend a lot on their dogs and cats. 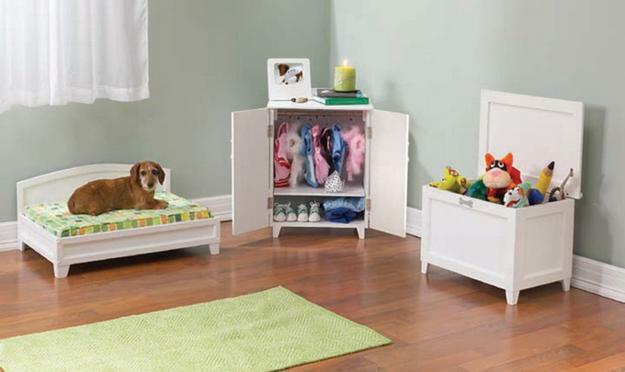 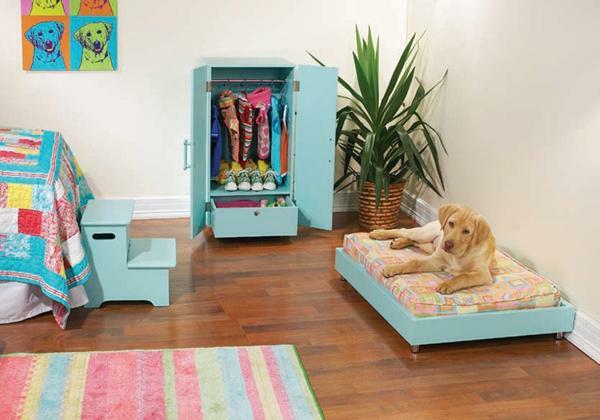 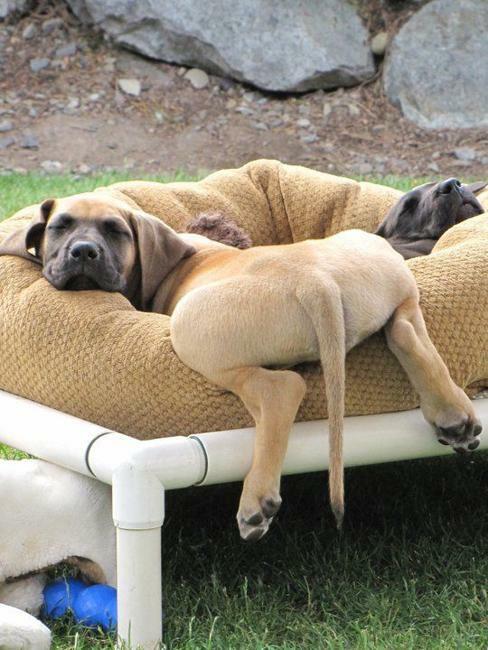 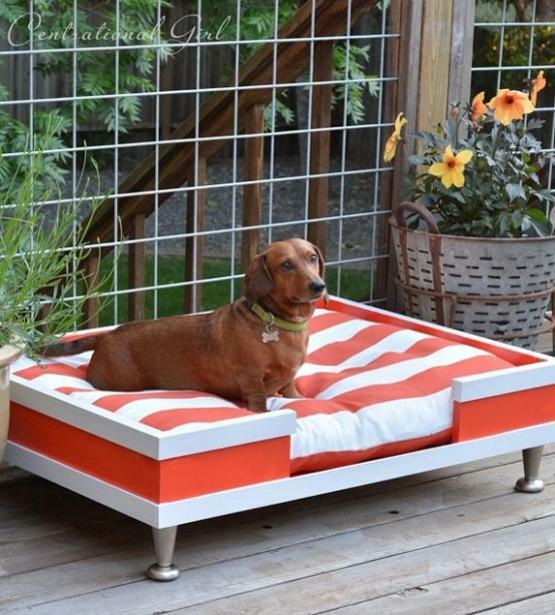 Designers offer different ideas for puppy beds or large pet beds. 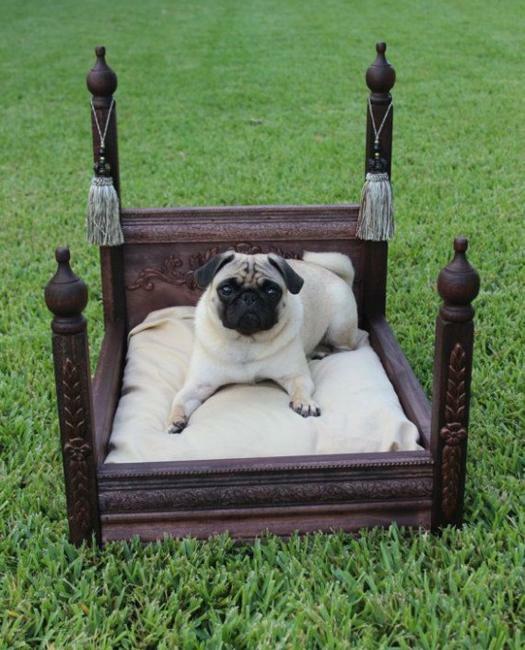 Handmade dog beds can be as comfortable and attractive as luxury pet beds. 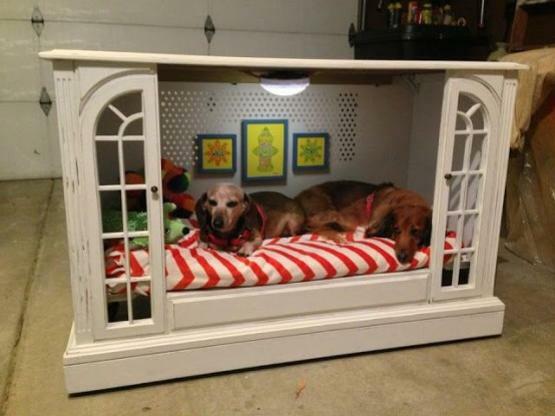 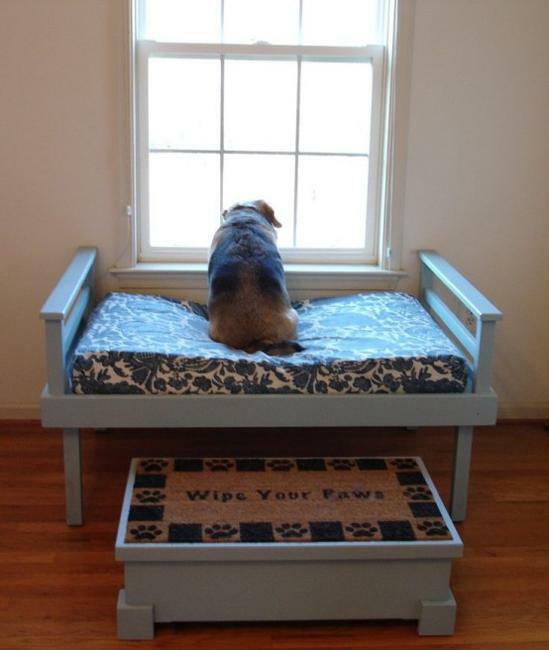 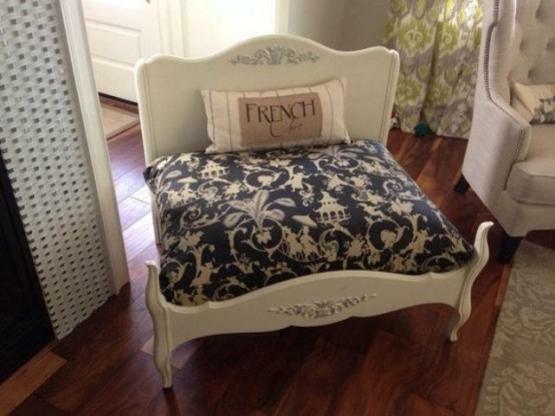 Making beautiful pet beds can be a hobby or a one time DIY project that saves money. 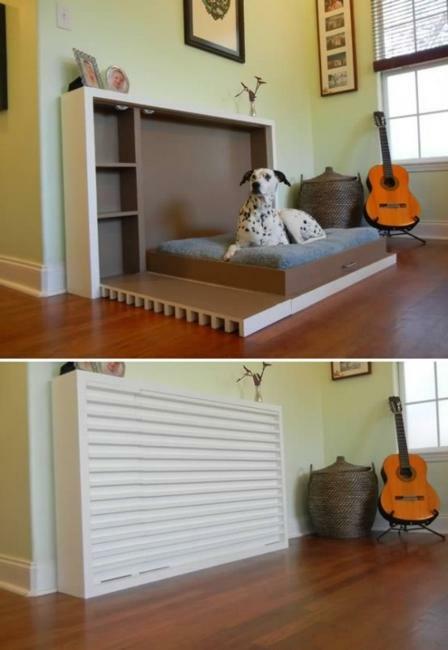 Also you can find handmade pet beds for dogs and puppies that looks just like designer furniture pieces and match your interior design style in a surprising and pleasant way. 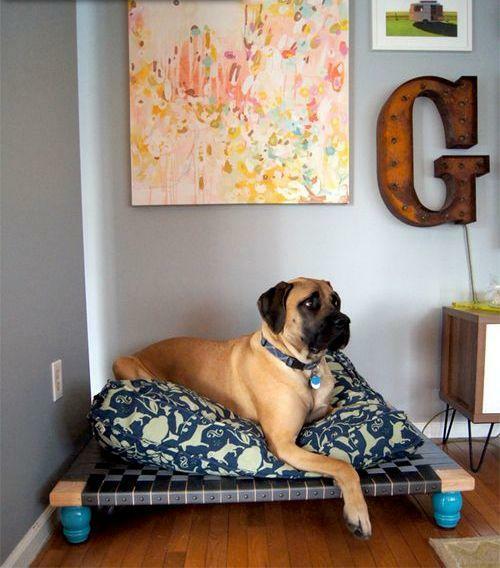 Some pet beds for large dogs feature posts and suit your vintage decor while adding more comfort to your pet-friendly home. 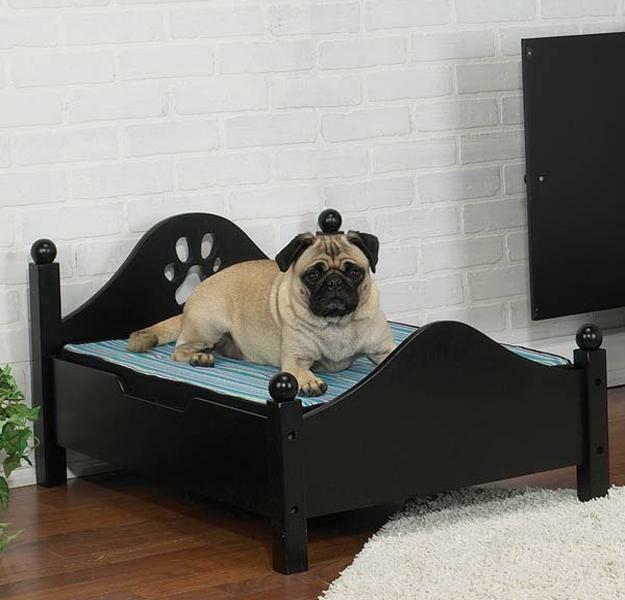 Wooden pet beds with thick mattresses designed for large dogs are not only attractive, but durable and practical. 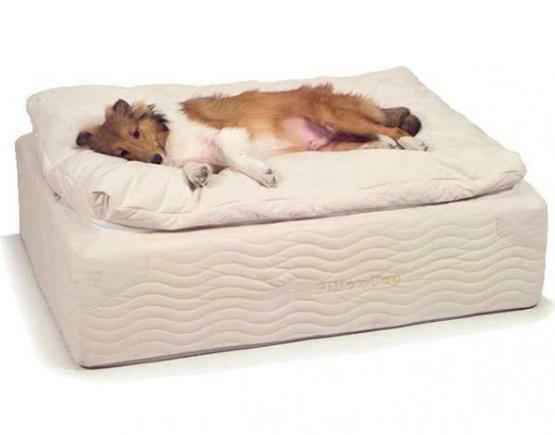 Dogs like to be up off the floor where cold drafts can cause problems with arthritis. 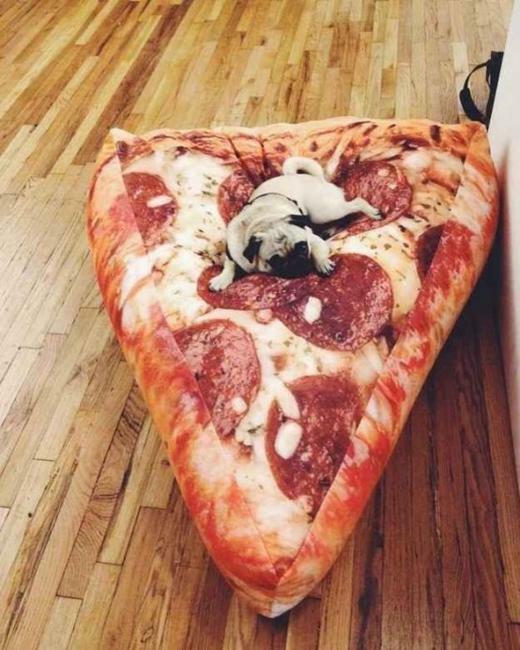 Old cushions and large floor pillows make good pet beds also. 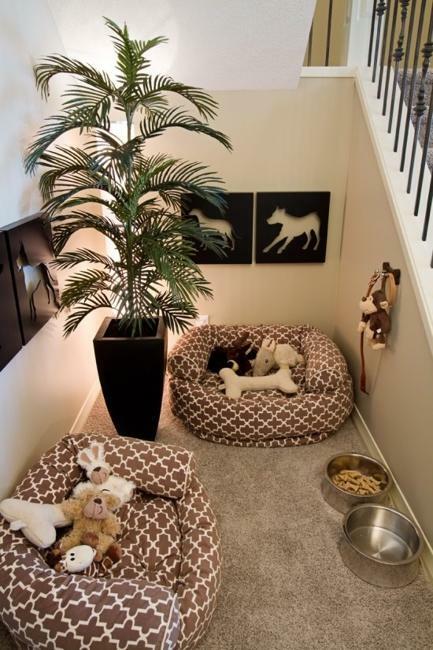 Made with fabrics and fillers, these large floor pillows without a solid frame are convenient, portable and practical. 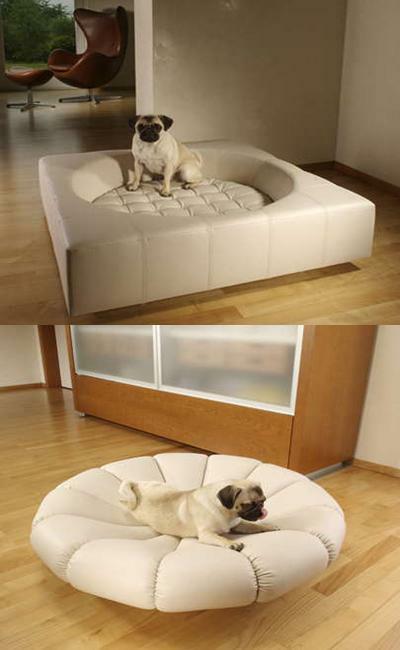 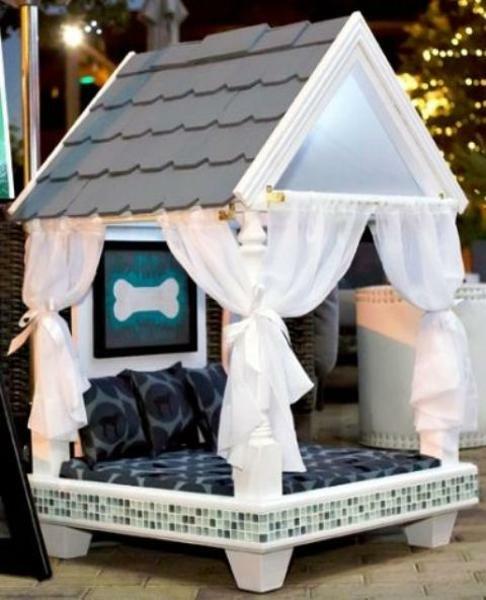 There are many different designers who are now creating luxurious and designer dog bed. 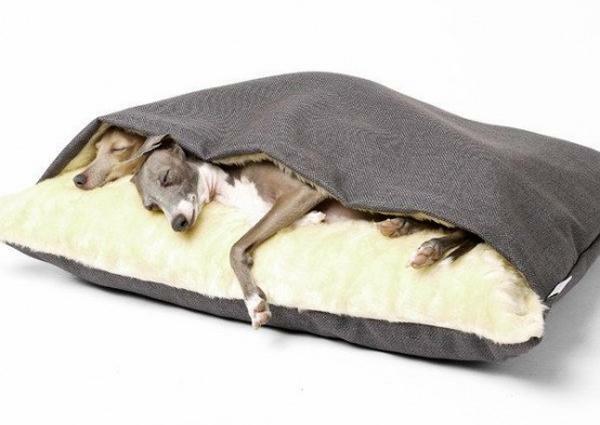 Luxurious dog beds can come in many forms and in many prices, match your home decor, give your dog a special bed, and make sure you’re protecting them from drafts and hard floor.